Oh please let the cart be full of carrots," Boo gasped "Oh please!" 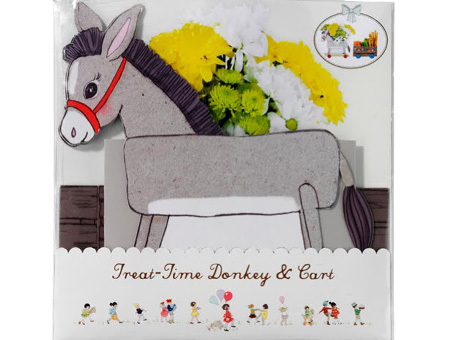 A cute and quirky, card donkey and cart with waterproof lining. 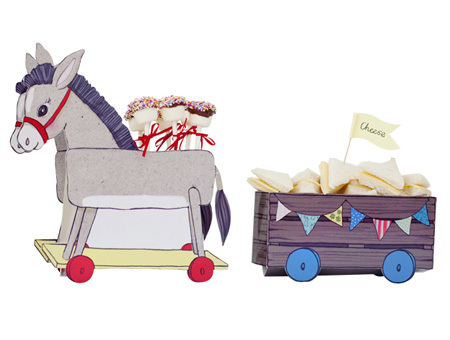 Perfect for sweeties, snacks, flowers or gifts. Great for serving sharing food at parties, and makes a fun and useful centre piece. 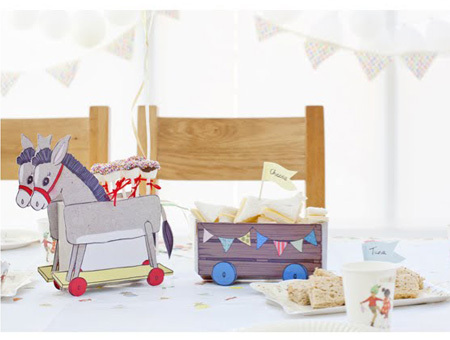 Combine with our Belle & Boo napkins, cups and plates for the perfect party table!